Lawn Doctor of Denver has developed the most systematic and practical tactics when it comes to our seeding programs. All of which are designed to set your lawn up for success in the long term. Our year-round services afford you the healthiest and most enduring lawn imaginable! Enlist Lawn Doctor to provide you with the high-quality lawn care service in Denver. We’ve been creating beautiful lawns and grass yards for years all throughout Colorado’s regions. Experience, skill, and commitment have made us the leading provider of lawn care and lawn seeding services to Denver and surrounding communities for over four decades! This has allowed us to specialize our approach, develop our environmentally friendly practices, and tailor our services to your needs. The benefits of seeding and aeration are tenfold and can be seen long after the initial process. Immediately, aeration redistributes vital water, air, and nutrients to your Denver lawn. In the long-term, this provides higher reception of fertilizers and fortifies your grass, making it more resilient when it comes to heat and drought. Aeration allows your Denver lawn to utilize the elements and work with the seasons, making standing water far less of a worry. Our aeration techniques provide circuits for water to be redistributed and ultimately absorbed. Our year-round commitment to you and your Denver lawn care needs have made us the perfect choice to ensure the high-quality work that you expect for your lawn or yard. 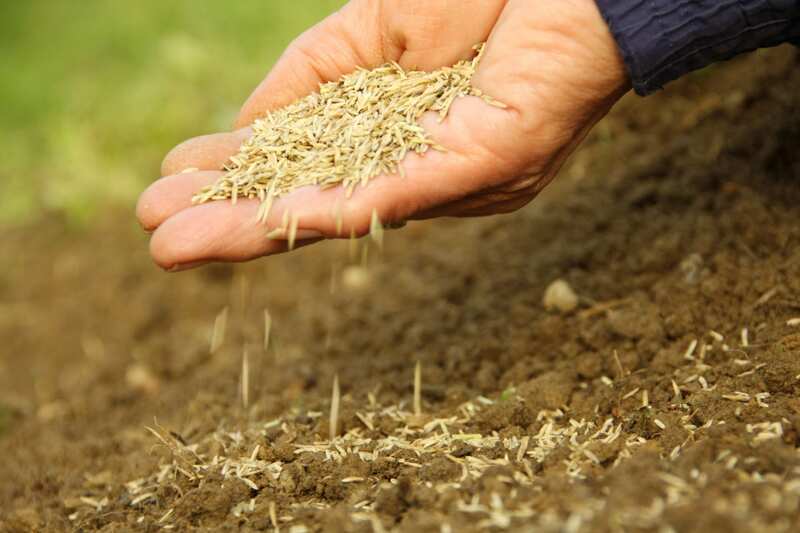 We’re in it for the long-haul when it comes to your Denver grass seeding and aeration. Our commitment to environmentally friendly, green solutions in lawn care and yard service have made us the most ethical lawn care company around! Our seeding and aeration techniques are tailored and designed to align with even our most environmentally-conscious Denver clients. Feel great about your lawn care service and choose Lawn Doctor to handle your Denver property with the most ethical, responsible methods around.